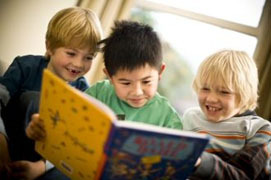 Summer Reading Programs & Your Child - Why is all this fun so important?! Our branches provide myriad opportunities to excite, stimulate and encourage children, from the youngest to teens, to enjoy and explore the pleasures of literacy through science, art, engineering, music, drama, hands-on inquiry and stories and reading all summer long! But why all the fuss about summer reading? Why is summer reading important? The importance of summer reading cannot be underestimated! Research shows that children who do not read during summer vacation months may lose, on average, two months of school gains, known as the “summer slide”. And between third and fifth grade, children’s reading vocabulary will increase exponentially. By providing many entries into literacy, through recommending books and providing hands-on exploration activities in science, music and the arts, summer reading programs motivate children, promote lifelong reading skills, and help children succeed in school. Research has shown that having books in the home and seeing parents reading positively influences children to value books and reading. Borrow books! Our Beginning-to-Read books are in a special section on shelves marked Easy Reader (ER in the catalog). We also have a large collection of shorter fiction books shelved with our juvenile fiction that are sure to whet any young reader’s appetite for reading a great story! Do not be concerned if your child initially wants to stick with just one series. It is great that s/he has found something they are very interested in reading, and there is no better way to develop reading fluency than to read through a whole series. The more reading practice the better! 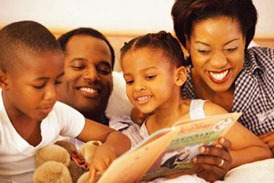 Read aloud to your child, even once they have begun to read on their own. Why? Listening to you read and following along with their eyes, your child picks up reading clues, memorizes words, learns syntax, and develops their sense of how story narrative works. For newly emergent readers in Kindergarten through first grade, try paired reading - you read one page, your child reads the next page. This both supports and models expressive reading for a new reader and it is fun to share a story together. 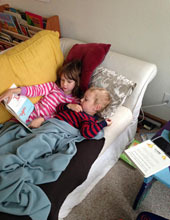 Have an older child read aloud to a younger sibling. 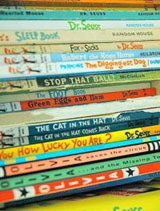 Listen to your child read aloud to you for 10 minutes a day. They will be proud to share with you their new skill! Listening to Books on CDs that the whole family can enjoy makes any long car trip breeze along! Or your child can borrow a Playaway which is a pre-recorded book on a small device, about the size of an iPod, into which they can plug their own earbuds. There are also Playaway Views available to borrow, which are devices on which a child can watch and listen to stories read aloud. Summertime is a great time to borrow books and other materials. We have a generous lending policy & managing your borrowing can be done easily online from home! If another MCL branch has the book need, just place a hold on it with your library card! (Your PIN will be the last four digits of your phone number.) Be sure to select at which branch you would like to pick it up. Our trusty MCL van travels to all of our branches during the week; the item will be picked up for you, delivered to the branch of your choice, and you will be notified in just a few days that your book is in and ready for pick-up! Likewise, you can check and manage what you have borrowed/have on hold online. You will receive an email when your books are coming due. Click on the link and log into My Account to view books checked out. You may check the box alongside the title(s) you are still reading and click Renew! And that is all you need to do! Books, Books on CD, and Playaways circulate for 3 weeks. 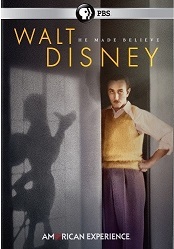 Playaway Views and DVDs circulate for 1 week. All items may be renewed twice, unless someone else needs the item and has put a hold on it. It is as easy as 1-2-3! Need the next book in a favorite series? Want to read several books selected from a school summer reading list? Heard about a great book recommended by a friend? Visit our online catalog – we may own it or it may be available soon. Place the book on hold! If it is a very popular title, the queue goes very quickly and you will receive a call or an email from the library that your book is in and ready for pick-up! So help your child discover a love of books and reading this summer. We are here to help in any way we can to support your efforts and look forward to working with children, teens, parents, grandparents, educators, and other significant adults in their lives to share good books and literacy adventures at your library.